Do you like poetry? Maybe not? I have a confession to make. Poetry calms me down. When I feel stressed or something is bothering me, reading poetry usually does the trick. Now you may not feel the same way, but I am sure that you will appreciate the effort and creativity that went into these one-of-a-kind computer error messages. They are not your usual curt and brief error messages that go straight to the point. Don’t get me wrong – there is nothing wrong with these messages, they get the job done. But with all the time I spend in front of my computer, some deviation makes for a little bit of fun. Now that we have gotten the definition out of the way, here are some of the funnier haiku computer error messages in the collection. This one is by David Dixon. No need to guess which has occurred, yes? Here’s another one, attributed to Pat Davis. I don’t know about you, but if I got this haiku error message, I would want to use the pen to kill the printer! Written by James Lopez. Stating the obvious, but still brilliant. 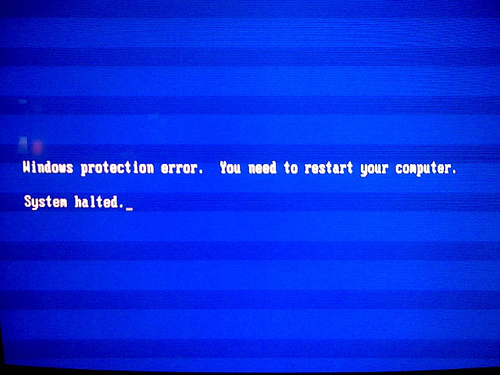 The only thing is that when your computer crashes, I doubt that it will still be able to display this error message! As a former Windows user, I think Margaret Segall hit the nail right on the head with this haiku. I think this is my favorite. While it is not funny, it is beautiful. Feel like tapping into your creative side?